KHOU 11 Investigates spent months visiting every local office of every U.S. Representative whose district is in the Greater Houston area. Most were staffed during normal business hours ready to handle constituent questions ranging from veteran benefits to Medicare coverage. The doors are locked. The lights are off. Nobody is home. This is the pattern at some local offices of your elected federal lawmakers. When asked about her empty district offices, Congresswoman Sheila Jackson Lee said, 'If we're not there, leave a note." In the Heights, we visited Congresswoman Sheila Jackson Lee’s branch office eight different times and found the door was always locked. Her congressional website states it’s open weekdays during normal business hours. No one was representing Jackson Lee and two of her other branch offices—one in Houston’s fifth ward and the other in Acres Homes. “Are you letting everybody know that these are few pennies that we pay to make sure we can meet our constituents at their need,” said U.S. Rep. Jackson Lee. 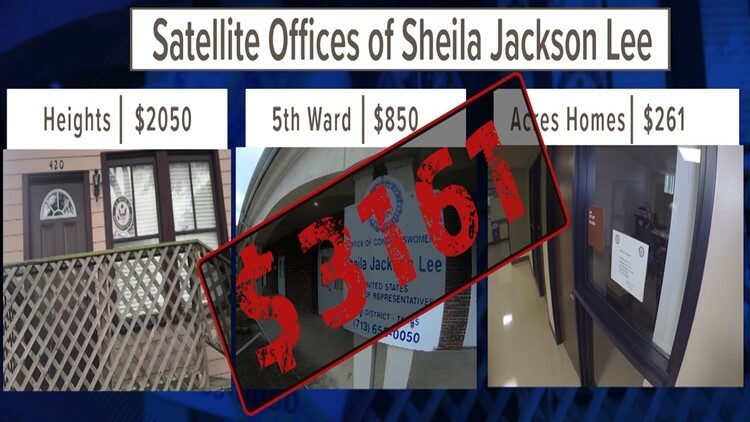 Congresswoman Sheila Jackson Lee pays $3,161 a month for three district offices. It’s not exactly pennies. Federal spending records show the rent for the congresswoman’s three satellite offices is more than $3,000 per month. “What I say to (constituents) is, ‘If we’re not there, leave a note,’” Jackson Lee. When questioned if that was a disservice, the congresswoman defended the practice. “I don’t think that is as—how should I say it—as difficult to understand as you try to make it out to be,” she said. But it’s easy to understand from the perspective of University of Houston Political Science Professor Brandon Rottinghaus. “The staff (in the Katy office) are field representatives and spend the majority of their time in the district meeting with members of the community,” said Jonathon Matthews, spokesperson for McCaul. Mathews said they regularly schedule meetings at the Katy location to help with constituents’ needs. In Huntsville, we found Congressman Kevin Brady’s office dark on multiple occasions at $1,005 per month. “Recently, a casework staffer in the Conroe office fell ill and our Huntsville office caseworker was temporarily reassigned to Conroe to help,” said spokesperson Shana Teehan. Teehan added that a replacement was hired two weeks ago and is in training to staff the Huntsville location. “At no time have the Huntsville office phones gone unanswered or concerns left unaddressed,” Teehan said. In Missouri City, Congressman Al Green pays $540 per month for an office not even listed on his website. Another satellite office in Chinatown rents for $1,200 per month and also is not publicized online. A sign in the window states it’s open Tuesdays and Thursdays by appointment only, but the unkempt office appears to have little constituent business. A dusty lamp sits on the floor unplugged and a calendar on the lone desk is from the year 2008. Green told us there is serious reason behind the part-time office practice—his office regularly receives threats from the public to harm him or his staff. “And if we’re going to have those offices open full time, we have to have full time security,” Green said. But professor Rottinghaus said that explanation only goes so far. Back in the 18th District of Texas, Congresswoman Jackson Lee brought along one of her constituents to the interview. She said Samuel Harden walked to her office seeking assistance with veterans and social security benefits. “I’m very appreciative of everything she’s doing and has done for me,” Harden said. 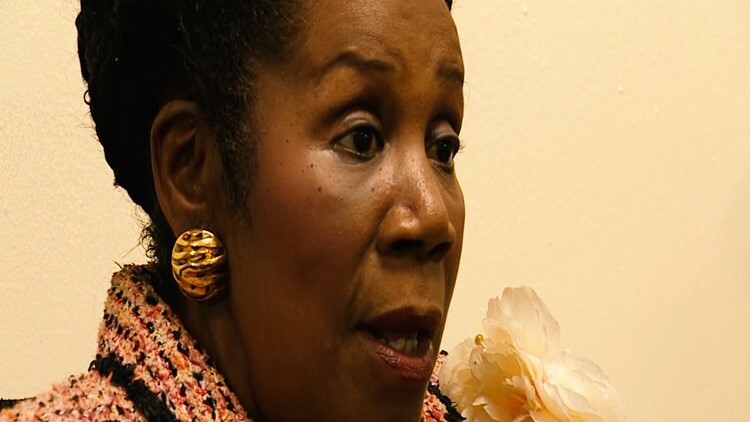 “I believe these offices are vital; I believe they make a difference,” Jackson Lee added. As for others who may show up and find the door locked and the office not open for business? “The office is not closed, our staff may be out, but it’s not closed,” Jackson Lee said. Follow Jeremy Rogalski and Tina Macias on Twitter.